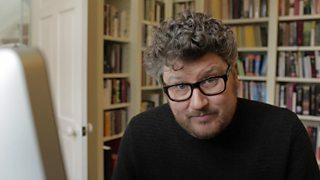 Tom Service dives into the world of extreme voices, exploring vocal pyrotechnics from composers like Mozart and Rachmaninov through to Björk, Tom Waits and Mongolian throat singers. Who has the most extreme voice of all? When it comes to extreme voices, the people most gifted at grabbing and keeping our attention have never had a singing lesson. Babies’ crying has been honed by evolution to force the rest of us to pay attention. In fact, the screechings of our little darlings are actually among some of the most powerful vocalisations that humans can physically produce. Go on: try to scream like a baby. The odds are that you can’t – and that if you can, you’ve just damaged your throat. Babies don’t hurt themselves, though: they’re simply doing what comes naturally. This incredible sound production is a skill that most humans lose as their vocal cords develop alongside their sense of social consciousness. 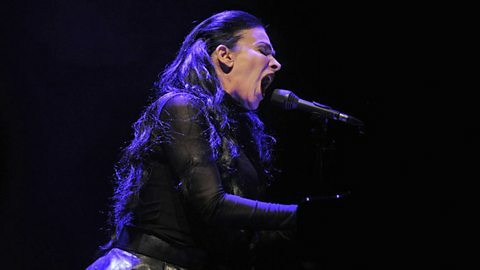 Diamanda Galás demonstrates musical screaming skills that most of us lost as children. Another better-known musical tradition that sometimes calls for very high singing is opera. Perhaps it's because these incredibly high voices can convey drama like no other voice type. 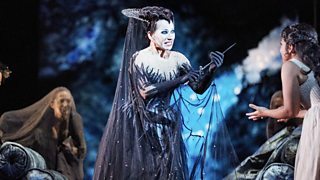 One of the most famous coloratura soprano roles in opera is the Queen of the Night from Mozart’s Magic Flute – an evil monarch who, in a homicidal rage, reaches a stratospheric F6. That's a note that most people struggle to imagine, let alone sing. Hitting the high notes isn’t just for girls. In the past, men would routinely sing as high as women on the opera stage – but that was in the era of the castrati. Their ability to sing in a high register was enabled by castration as children: thankfully, this kind of cruel surgical intervention is no longer carried out. Alessandro Moreschi was the only castrato ever to be recorded. The early 20th-century recordings that survive were made when Moreschi was in his mid-40s. 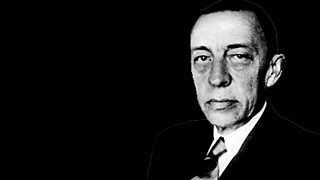 It’s hard to say with any certainty whether that’s what he – or indeed any other castrato – really sounded like in his prime. In modern times castrato roles are sung by female singers or by countertenors like Iestyn Davies (below). Countertenors' voices have broken like any other adult male's, but they use a combination of natural ability and special training to reach the high notes safely. For men, there’s another extreme to explore. How low can they go? 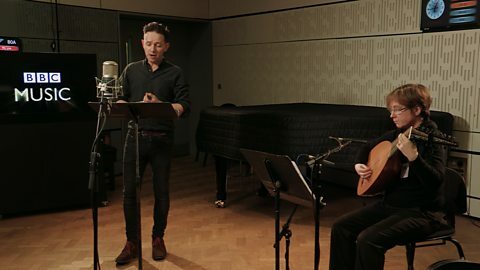 You might think the note the bass singers reach in this clip – B flat – is pretty low. But in 2012, the composer Paul Mealor searched for a singer who could get down a further six semitones, to E – the same note as the lowest note on a double bass! Amazingly, Mealor found someone for the job: Tim Storms. Listen to him shaking the BBC News studio with a demonstration. All these growly low notes might put you in mind of the kind of sounds we make when we’re expressing despair or disgust. Think of the growlers of today’s music cultures – Tom Waites, Vladimir Vysotsky – not to mention the virtuosos of death metal. 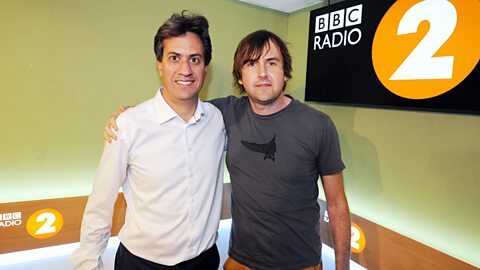 Then, of course, there’s Ed Miliband. Here he is putting the “facepalm” into “Napalm Death” on Radio 2. Ed is tutored by Barney Greenway of Napalm Death in the fine art of extreme metal vocals. Throat singing is straight up one of the weirdest vocal techniques known to man. Most people have never heard it – and when they do, they find it difficult to understand or even believe what they’re hearing. Simply put, throat singing (also known as overtone singing) is a technique that lets the singer apparently produce two notes at once. They do this by singing a single, “fundamental” note (a bit like a drone) while changing the shape of their mouth and throat to produce overtones (strange, whistle-like sounds) that ring out over the top. Experienced throat singers have incredible control over the overtones they produce. Some can even accompany themselves in simple songs! Prepare to be amazed. Tom Service explores a range of quirky, shocking and just plain weird vocals in The Listening Service: Extreme Voices. Listen to the full programme on the BBC website. This year the BBC Proms are getting the Tom Service treatment: discover how here.